Being small and friendly, Kavos is a brilliant destination for your first party holiday abroad. 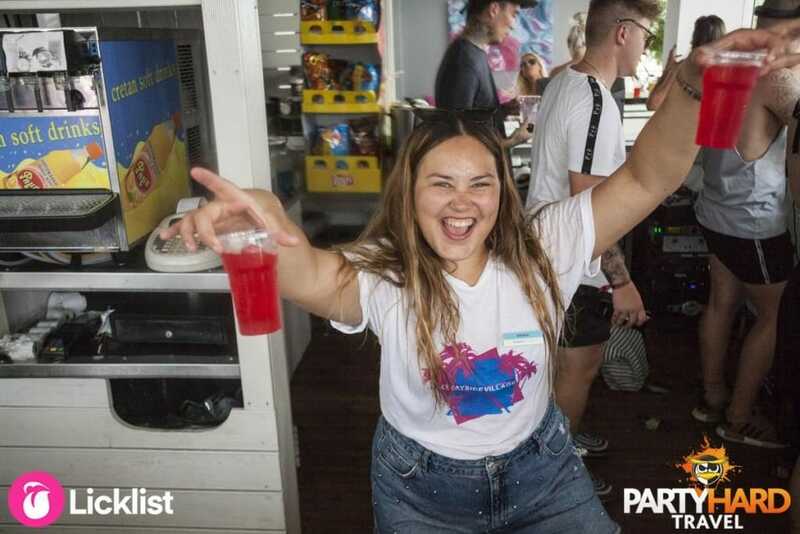 And as a backup you’ve got the support from our in resort rep team who are out and about at the events helping you have the best week of your life! Natalia Kantas was a Kavos host in 2018 and had some priceless advice for your 2019 party holiday to Kavos. 1. That First Crazy Holiday. Because Kavos is so small, it is really popular for 17 and 18 year olds having their first holiday away from parents. Within a day guests know their way around, it’s reassuring for them to bump into the same people on their holiday and makes it easy for them to get to know others. There’s also a really big selection of events on, so guests pick and choose what they want to go to. 2. Lost Phones and Lost Friends. One of the most common things you hear from guests is that they have lost their phone, this happens literally all the time. Or that they have lost their friends! We walk them back to their hotel, and usually their friends are sat right there! We’ll ask why they left their friend, and they say “oh, we forgot.” It’s hard to get lost in Kavos, but no matter where you go, don’t leave your friends alone at any point! 3. Paint Party at Atlantis. Atlantis is a club right on the beach and every Saturday it has a Super Paint Party with 2000 litres of paint. It’s great fun but you look a complete sight at the end of it! Last season, me and the other Party Hard hosts got to be in charge of spraying all of that paint on 1500 clubbers! They loaded us up with suction guns full of paint, and we were away, it was brilliant! One of the biggest reasons to come to Kavos is how cheap it is! For €9 or about £8 you can get a 3 course meal at Big Max’s Diner. Desperado’s is good for Mexican food, and for €10 you get 1 hour pre-drink open bar at Quayside Village. It’s where everyone goes before going out. The other great thing about Kavos is the music, there’s something for all tastes. A big favourite is Rocky’s Bar for cheese music, Club Trinity for big names like Tom Zanetti and of course Future Club. Kavos was one of the first resorts to get Party Hard Travel’s new event for 2018, Welcome to the Jungle. It was massive. We had Joel Corry, Danny T and Chet Sket hit the stage at Atlantis and it quickly become one of the most popular events in Kavos.